GucciCapper is in utter shock. GucciCapper apologizes to everyone. 24 points in a game? 16.7 percent field goal percentage? 7.1 percent three point percentage? GucciCapper has seen enough in college basketball and NBA for the year. Hanging it up until September boys. It's been a good run, but GucciCapper is going to tuck GucciCapper's tail and hibernate until football season. GucciCapper has been handicapping sports since GucciCapper was in high school. It's been over 18 years and GucciCapper has never made a bet this horrible in GucciCapper's life. Throw in the fact that GucciCapper put 12K on this trash and all signs point to a hibernation until football season. Best of luck boys. 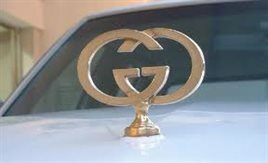 GucciCapper will be back in September hopefully 40 pounds lighter and with Waltonchain at $10.00. GucciCapper is BUMPING Raise Up by Petey Pablo right now. Justin Robinson is OFFICIALLY OUT. GucciCapper COMPLETELY agrees. Shouldn't even be close. GucciCapper absolutely LOVES NC State -2 today. GucciCapper is still sick as a DOG, but GucciCapper has dropped a very SIGNIFICANT 5 figure wager on this college basketball game today. Usually, GucciCapper doesn't fire in these sizes of bets on college basketball, but GucciCapper thinks this is going to come easy today boys. Below are the reasons why GucciCapper is in ABSOLUTE love with this play. 1) Justin Robinson is NOT going to play today. GucciCapper can't believe this has not been announced yet in the media, but there is no possible way that he plays. He was in a walking boot at the end of the Miami game. Sources say that he broke his toe. If for some STRANGE reason he does end up playing, GucciCapper does not expect him to be even 50 percent. 2) VaTech ONLY usually plays 7 guys. Now with Robinson out, they will now need to go to their bench on the road. GucciCapper expects them to come out flat from the beginning. 3) VaTech lives and dies by the 3. As high scoring as VA Tech is, NC State scores more points. Expect them to cover the 3 point line quite well (which they usually do). 4) The Virginia Game. GucciCapper believes in college there are MORAL victories and that VIrginia game gave NC State the belief that they can play ball with the best of them. 5) VaTech is HORRIBLE on the road. This will be there 6th true road game. They lost to Penn State, beat GTech by 3, got KILLED by Virginia, got killed by North Carolina and beat the U by 12. GucciCapper will take GucciCapper's chances here. 6) WIll NC State really lose 3 out of their last 4? NC State also has North Carolina up next so that will be 4 of their last 5 if they lose today (they will not beat North Carolina in Chapel Hill). ALL signs points to a very easy cover for NC State today. Jump on this one early boys, as once word spreads that Robinson is out, GucciCapper expects this line to jump to -3.5 or -4. GucciCapper appreciates the support. GucciCapper wishes GucciCapper went on the moneyline as this game was never close. Hopefully some home dogs start covering in the big 10 sooner than later. GucciCapper has been sick as a dog since GucciCapper had to cut GucciCapper's Vegas trip short and head back to South Korea. GucciCapper arrived back in South Korea on Tuesday Night and has been bedridden since. Not sure what is wrong with GucciCapper but hopefully GucciCapper will be able to recover shortly. GucciCapper's bread and butter used to be Big 10 home dogs. They haven't been working this year, but GucciCapper will go back to the well tonight. GucciCapper will be taking Iowa +5.5 tonight at home against Michigan. GucciCapper was very tempted to take the moneyline but decided to play it safe and take the +5.5 points. Michigan has lost 3 of their last 4 in Iowa and GucciCapper expects this sold out arena to be rocking tonight on Friday. Although the Wolverines play great defense, the Hawkeyes are amazing on offense. Throw in the fact that Michigan had to travel in the FREEZING cold and GucciCapper expects that the Wolverines will be slightly less focused than they should be tonight. Iowa comes into this game losing 2 in a row. Expect them to get back on track tonight in their annual black and gold spirit game! Best of luck all. Hopefully Iowa will cover this spread and give GucciCapper a little extra pep in GucciCapper's step for the weekend. GucciCapper appreciates pulling a Gracey for GucciCapper Unclebenelli. GucciCapper is a big believer in slump busters. @Butch - 2 of Amerikaz Most Wanted is what GucciCapper is bumping right now after this beatdown on the Lakers. GucciCapper has a few buddies flying in from Vancouver right now. Time to start drinking! GucciCapper is enjoying GucciCapper's trip in Las Vegas. GucciCapper had an AMAZING time sitting behind the glass at the Vegas Knights game last night. After the game, GucciCapper had drinks at various venues and stumbled onto the high limit baccarat tables in Caesars. Lucky for GucciCapper, GucciCapper went on a slight heater with these random cool guys from Laos. Other than GucciCapper's checked in luggage being completely gone, GucciCapper is really enjoying his time here in Las Vegas. Hopefully, GucciCapper can get back on track in the NBA. GucciCapper's favorite movie is Training Day and will be backing the Timberwolves tonight. To protect the sheep you gotta catch the wolf, and it takes a wolf to catch a wolf. If the Timberwolves win tonight, they will be back at .500 ball. The Timberwolves haven't been at .500 since early December. Although the Timberwolves will be very thin at the point guard position, GucciCapper believes Wiggins and Towns will have dominate games tonight. Since Saunders has taken over the Twolves, GucciCapper has liked this team and GucciCapper thinks they will be quite motivated to continue their winning ways. If the Timberwolves lose today, the shot at getting back to .500 will be very tough because they have two games against Utah. The Lakers will have Rondo back but GucciCapper needs to remind everyone that this is not 2009. It's 2019 and Rondo is not that important or good anymore especially in the regular season. Without Lebron and Ball, GucciCapper thinks the Lakers will struggle defensively against a very high octane Timberwolves squad. GucciCapper is shocked that this line flipped and that the Timberwolves are +2.5. GucciCapper will roll with the Timberwolves on the road today. The Lakers will get back to their winning ways next game against the Suns, but tonight they will probably lose. GucciCapper arrived in Las Vegas and had a great night out with GucciCapper's buddy. Today, GucciCapper will be sitting first row directly behind the ice at the Vegas Knights game. Everything is going quite well for GucciCapper except GucciCapper's checked in bag is no where to be found. Don't ask what airline GucciCapper flew from Kansas City. It definitely wasn't worth it. 20 hours and counting since GucciCapper's luggage is missing. Ugh. Talking about ugh, Ohio State has dropped 4 games in a row and got spanked at home against Maryland. They are facing a Purdue squad who has won 3 in a row. The problem with Purdue here is that GucciCapper thinks they are looking ahead. They have revenge on their mind after getting killed by Michigan State earlier this month. They will be hosting Sparty on Saturday. GucciCapper expects Ohio State to comfortably win this game. GucciCapper loves taking Big 10 home dogs, and GucciCapper will be taking the Buckeyes today. GucciCapper will be sitting directly behind the glass tonight at the Knights game. GucciCapper is not a NHL guru, so GucciCapper is reaching out to his fellow covers brothers for some insight. GucciCapper is thinking of going with the -135 but GucciCapper has no idea. GucciCapper apologizes for this pick. Downright terrible. GucciCapper will stick to his word and never back this team again this year. So many fast breaks that Memphis should have scored on that resulted in turnovers and scores for the Pelicans. Shelvin Mack and Gasol were terrible in the 3rd quarter. Downright terrible. Why is Conley sitting on the bench? Play the whole damn 3rd quarter. Sorry boys, GucciCapper is confident things will turn around in the NBA sooner or later. GucciCapper is DISGUSTED by the last 6 minutes of this game. Since Candace Parker got on the microphone, the Grizzlies decided not to play any defense. If Gasol can stay out of foul trouble, GucciCapper thinks we are still on the right side. If you missed out on the game, take the Grizzlies at -2.5 for a discounted price. GucciCapper thinks they will definitely win this game and will also cover the -3 points. GucciCapper had an AMAZING time at the Chiefs game. Although the game didn't go the way GucciCapper would have liked it to go, the experience was something GucciCapper will never forget. A grown man, who had season tickets for 32 years (row 2, 50 yard line) was in TEARS when Kansas City took the lead with 2 minutes left. He was waiting for this moment his whole life. The passion of the fans and the noise was something GucciCapper never felt at any other live event. Throw in the fact that it was so cold, GucciCapper's BEER was completely frozen. The one thing that GucciCapper thought was a bit unnecessary came from Patrick Chung after the game. He came right up to the first row and gave his gloves to a Patriots fan. Then he looked at GucciCapper and said "FUQ you Bich" and walked away. Not being a Chiefs fan, it wasn't a big deal for GucciCapper. But GucciCapper thinks that was a tad inappropriate. 1) The Pelicans don't play defense. Throw GucciCapper on the court and GucciCapper would probably have this stat line. 3 points 1/6 shooting, 1 turnover, 6 fouls. Even an average joe like GucciCapper wouldn't have that bad of a game against this team. Throw in the fact that Anthony Davis won't be in to protect the rim, and the Grizzlies should finally be able to score some easy points. 2) The Pelicans have been on the road for 9 days. This will be their last road game and then they will be happy to go home for a game against the Pistons. GucciCapper expected them to show some heart last game against the Blazers, but they folded. Now without AD on the court, GucciCapper can't see how they will be focused for this game. 3) The Martin Luther King angle. Pre-game festivities for MLK day. The whole story with Garrett Temple. Things like this motivate a team. Plus playing on TNT, GucciCapper can't expect the Grizzlies to fall flat again. 4) Grizzlies are starting a 5 game homestead. What better way to break out a slump then some home cooking? They were only on the road for 2 games, so GucciCapper isn't worried about them coming home from a long trip and not being ready for this game. GucciCapper knows it's very hard to lay 3 points with the Grizzlies here today. Hell, ESPN matchup predictor has the Pelicans at 56.9 to win this game. Throw in all the angles here, and GucciCapper expects a solid performance from Memphis tonight. GucciCapper usually doesn't like to lay points in the NBA, but will do so on this special MLK holiday. Best of luck boys. GucciCapper will be drinking copious amounts of beer today to warm up GucciCapper's body temperature. One last day in Kansas City and then off to beautiful Las Vegas, NV! GucciCapper will definitely be riding with the Rams here. Superbowl party in Vegas scal? GucciCapper is drinking. Let’s go Chiefs! GucciCapper thanks everyone for the food choices. GucciCapper went to LC's BBQ yesterday for lunch and enjoyed it. Was planning on going to Q39 tomorrow for dinner. Will try Joe's for lunch tomorrow. That was on GucciCapper's list to hit. May also hit Stroud's on Tuesday before GucciCapper's flight to Las Vegas. Goodluck everyone. GucciCapper is watching the local news and can't believe people have been parked outside the stadium gates since 4 am tailgating. GucciCapper attended the Kansas City Chiefs fan rally in the Power and Light district last night and had an amazing time. The people of Kansas City are really friendly and accommodating. GucciCapper went from bar to bar with a group of Chiefs fans and was probably around 20 deep before deciding it was time for GucciCapper to get back to GucciCapper's hotel to rest. GucciCapper didn't get as much sleep as GucciCapper wanted, as it's only 6:30 AM so hopefully after writing this GucciCapper can get a bit more shuteye before going to the game early to tailgate. If anyone is going to be at the game, hit GucciCapper up. Beers on GucciCapper! GucciCapper will be sitting behind the Patriots bench on the 50 yard line in the first row. GucciCapper went to the official Chiefs store at Arrowhead stadium yesterday and got geared up in Chiefs gear. Hopefully the Chiefs starter jacket and sweatshirt will keep GucciCapper warm as it was FREEZING last night. GucciCapper is going to lay the -3 points and support the Chiefs today. GucciCapper has been a bit torn on this game all week with the media pushing Brady and the Patriots as underdogs. Why is Brady an underdog? Well, for the following reasons. 1) Kansas City's pass rush will put pressure on Brady. When Brady is pressured, he is not as great as many people think. The Chiefs will do exactly what the Chargers did not do last week. Put pressure on Brady, make him get out of his comfort zone, and try to make the Patriots one dimensional. 2) The Patriots are not a great team on natural grass. Kansas City has been the achilles heal for the Patriots in the regular season for the last few years. Remember a few years ago when Kansas City KILLED the Patriots on national television? Everyone went on to say Tom and the Patriots were done. GucciCapper believes the Patriots went on to win the superbowl that year. Playing in Arrowhead is tough and GucciCapper expects the crowd to play a big factor in this game. 3) Andy Reid. Everything is in perfect alignment for Andy Reid to finally get over the hump. The Chiefs finally got over the playoff hump last week and GucciCapper expects now that the monkey is off their back, they will be relaxed and focused for this game. Andy Reid will have his team ready to play tonight and will have one or two trick plays up his sleeve. 4) Kansas City's offense. It's unstoppable. GucciCapper doesn't expect Mahomes to be rattled tonight at home. Hill and Kelce should be able to tear up this over-rated Patriots defense. Mahomes should be able to have make enough plays with his feet to keep the Patriots defense on their toes. 5) Eric Berry is back. Even if he's not fully healthy, just having him out there should make everyone play a bit harder. Berry's whole NFL story is a miracle and when he is on the field, Berry is the heart and soul of the Kansas City defense. 6) The Patriots are just not that good. Yes, GucciCapper said that last week and was humbled by them after the beatdown they put on the Chargers. Sorry, Patriots fan. You are playing against a mobile quarterback that has the best arm ever. When are the Patriots ever this big as a dog? Never. THEY ARE AN UNDERDOG FOR A REASON. GucciCapper never likes to lay points, but GucciCapper is EXPECTING a beat down tonight. GucciCapper thinks that Kansas City will roll early and never look back. Tom, it's been a hell of a ride, but it's time to pass the torch. Take the -3 points and enjoy watching history. Out with the old, in with the new. Chiefs are going to the superbowl. GucciCapper is not betting on the Rams/Saints game because GucciCapper wants to enjoy GucciCapper's time tailgating. If GucciCapper had to bet on the game, GucciCapper would also lay the points with the Saints today. But GucciCapper is FULLY FOCUSED on this Cheifs game. Enjoy the game boys! GucciCapper definitely will be. GucciCapper had the 76ers moneyline at +290 and +470. Wow, had a shot to middle there but nonetheless won quite a good amount on the game. Really wanted that Jimmy Butler three to go in. Until tomorrow boys. Got some momentum going into the Chiefs game! Lets eat. Line moved a point because Embiid is playing. Still don't think it matters.